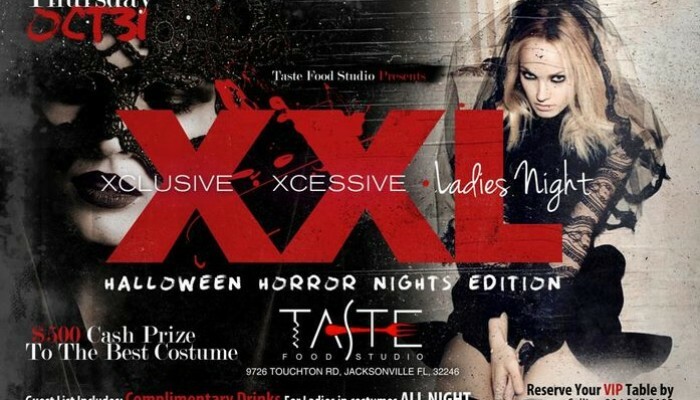 Xclusive Xcessive Ladies Night (XXL Thursdays) @ Taste! Halloween Bash! DECKED OUT VENUE WITH THE LARGEST HALLOWEEN PARTY & CONTEST IN JACKSONVILLE all at Taste Food Studio! DJ SHOTGUN & DJ PSOGNAR (Sixstring King) spinning the best HOUSE, TOP 40 REMIXES & HIP-HOP ALL NIGHT LONG at Taste Food Studio! Get on the guest list for: LADIES DRINK FREE till 12, $1 DRAFTS, $2 SHOTS & NO COVER!!! 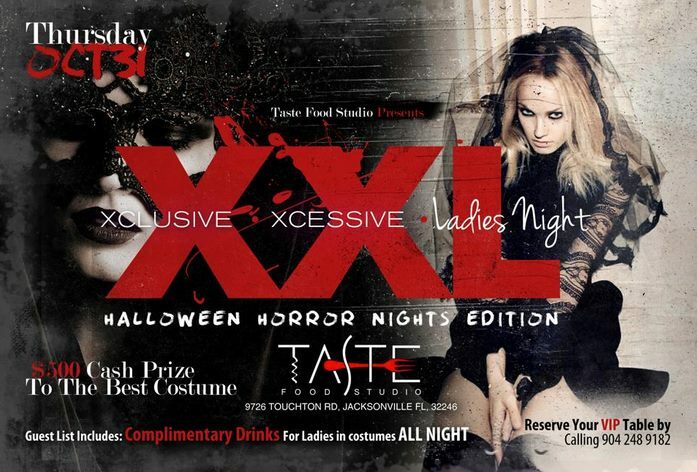 Taste Food Studio allows LADIES DRINK FREE IN Costume to DRINK FREE ALL NIGHT LONG! Group of 6 ladies or more: COMPLIMENTARY BOTTLE OF CHAMPAGNE ON US! LAST THURSDAY at Taste Food Studio was SLAMMED! The newest, hottest & most upscale Thursday night to ever hit Jacksonville!